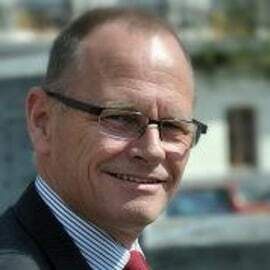 Jan Fransen, Managing Director of Green Award, was involved with the set-up of the Green Award scheme in the early nineties when he served the Foundation as a Certification Manager. From 2001 he took on the position of Deputy Managing Director and in April 2005 he was appointed the Managing Director. His previous positions include Nautical Officer and several positions at the Dutch Ministry of Transport and the Port of Rotterdam. Jan can be seen as the ‘expedition leader’ of Green Award. In the past 15 years he, supported by the Committee and the Board of Experts, faced several challenges related to staff & finance, development of requirements and growth of number of ships. He visits ports and port authorities, embassies, ministries and certificate holders in order to inform them about the Green Award Foundation and establish relations. In the opinion of Jan Fransen, schemes like Green Award contribute to motivation and differentiation in Quality Shipping. The market mechanism created by Green Award will result in a preference for Quality Tonnage on the charter market and elimination of substandard tonnage. Sustainable developments in maritime transport will be achieved.